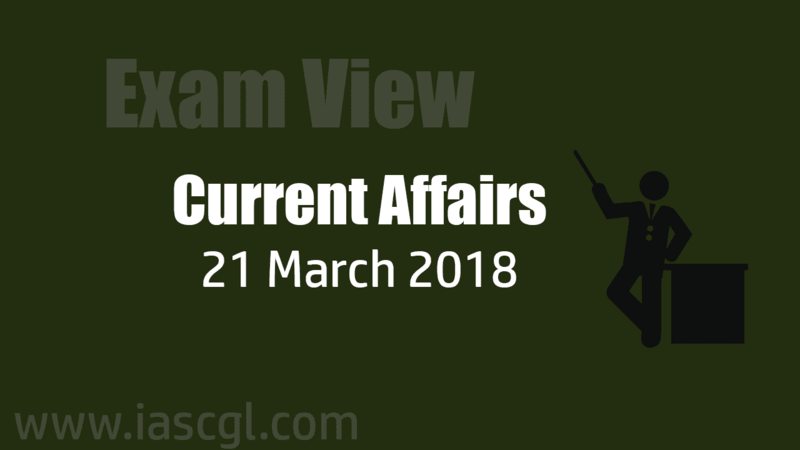 Current Affair of 21 March 2018, Exam View. Bihar Governor Satya Pal Malik was given additional responsibility of Odisha after SC Jamir completed his five-year tenure. A Rashtrapati Bhawan communique said the Bihar governor will have additional responsibility of Odisha until regular arrangements are made. The Department of Posts on Tuesday released a special cover on world-famous scientist Stephen Hawking here in which Andhra Pradesh Space Application Centre secretary and ISRO scientist K. V. Ramana took part as chief guest. The Indian Coast Guard ship C-437 was commissioned at Porbandar recently. . The induction is part of efforts by the Coast Guard to strengthen coastal security. It will strengthen the security umbrella of the west coast and will help augment patrolling, to prevent illicit activities such as infiltration, smuggling and illegal fishing. The interceptor boat is 27.8m long, displaces 106 tonnes and has a maximum speed of 45 knots. The boat is capable of undertaking multifarious task such as surveillance, interdiction, search and rescue and rendering assistance to boats and craft in distress at sea. The boat has advanced navigational and communication equipment with capability to respond to any maritime situation. The ship is commanded by Assistant Commandant Varun Raj S and will be based at Jakhau. Indian Railway Catering and Tourism Corporation(IRCTC) ties up with Ola Cabs for booking cab on its website and app. India and the European Union on Monday signed an agreement that will enable them to share earth observation data from each other's satellite. 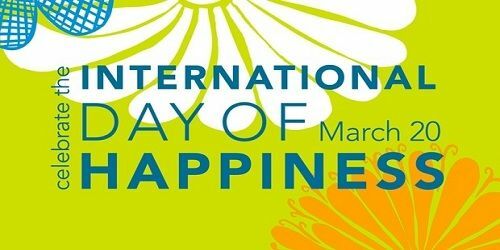 The General Assembly of the United Nations declared 20th March as the International Day of Happiness. Theme of International Happiness Day 2018 is: Share Happiness — focusing on the importance of relationships, kindness and helping each other. The day is to recognize the relevance of happiness and well-being as universal goals and aspirations in the lives of human beings around the world. Also to highlight the importance of their recognition in public policy objectives. World Sparrow Day is celebrated on March 20 every year. It is an international initiative by the Nature Forever Society (NFS) of India in collaboration with the Eco-Sys Action Foundation (France) and other national and international organization across the world. Nature Forever Society, generally referred to as NFS, is a non-governmental, non-profit organization devoted to conserve House Sparrows. 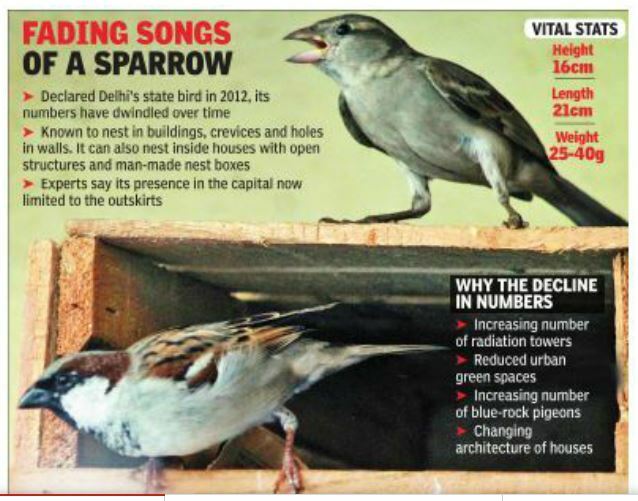 House Sparrow has been listed as Least Concern on the International Union for Conservation of Nature (IUCN) Red List.